After nearly a dozen years of public-private collaboration, construction to enable fish passage at the Opal Springs dam is underway. Local and statewide organizations have been working for decades to reintroduce native salmon and steelhead into the Deschutes River Basin. 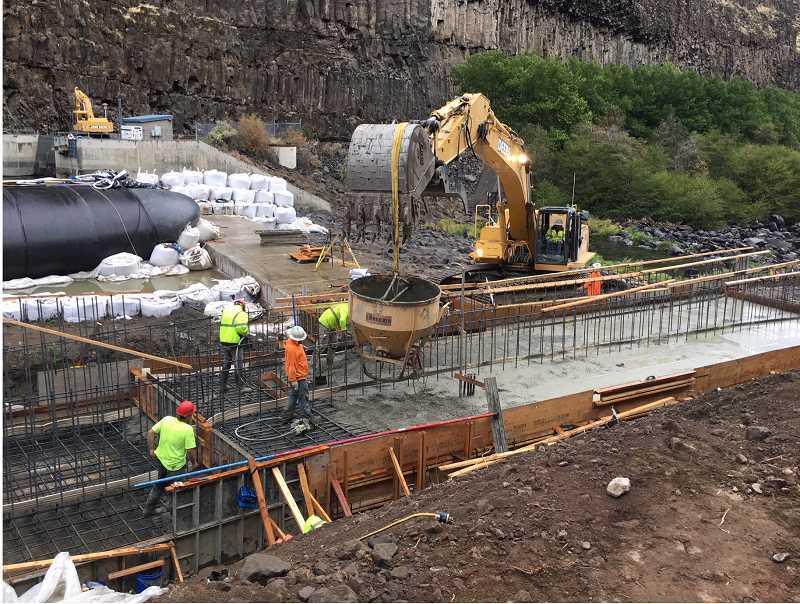 The efforts include the Crooked River, where the Deschutes Valley Water District has partnered with utilities, state and local agencies, nonprofits and local tribes to build fish passage into the Opal Springs Hydroelectric Project. The Opal Springs Hydroelectric Project did not require fish passage when commissioned in 1985, due to a lack of anadromous fish in the middle and upper Deschutes River Basin. Salmon and steelhead runs were cut off when the Pelton Round Butte Hydroelectric Project was constructed, downstream, in the 1950s and 1960s. When a new fish passage system was completed at Pelton Round Butte in 2010, allowing reintroduction of migratory fish into the middle Deschutes Basin, the Deschutes Valley Water District began to engage with stakeholders to discuss a collaborative solution to fish passage. In-water work officially began in early June. 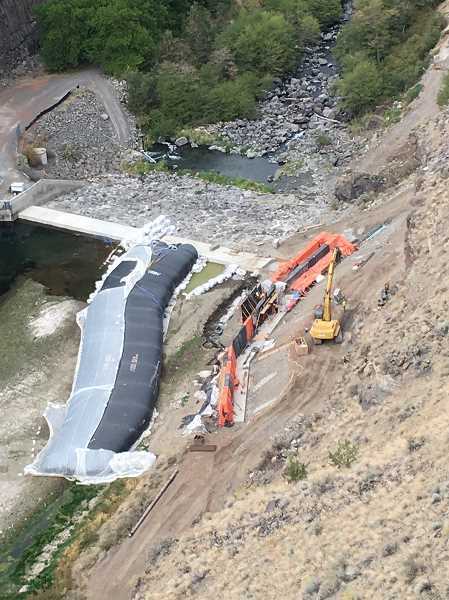 By raising the existing dam's pool height by three feet and installing a fish ladder, the finished project will allow fish to travel up the Crooked River for the first time since the 1960s. The project will generate an additional 1,010,000 kilowatt hours of renewable energy per year, and the return of salmon and steelhead will create opportunities for other issues to be addressed including water quality, habitat and vegetation. "This effort to secure fish passage at Opal Springs is an excellent example of multisector partnership," said Finlay Anderson, senior regulatory consultant at Kleinschmidt Group, which has been working with the project since 2007. "Stakeholders and investors with a variety of interests are working toward the same goals." In addition to Deschutes Valley Water District, aspects of the project have been planned and funded by the Oregon Watershed Enhancement Board, Oregon Department of Fish and Wildlife, the Oregon Department of Water Resources, Portland General Electric, the Confederated Tribes of Warm Springs, and Energy Trust, among others. The $10.7 million project is set to be completed in late 2019, at which time fish passage will begin. A temporary fish trap will be built to assess the performance of the fish passage facilities. By hiring local people, creating jobs and improving recreational fishing, the project is also having a positive impact on the local economy. Deschutes Valley Water District is a public water supplier with approximately 4,000 service connections to residential, commercial, industrial customers in the Jefferson County communities of Culver, Metolius and Madras. The district's mission is to provide safe and good tasting drinking water at a reasonable cost to existing and future district patrons, while continuing a high level of customer service.